Criminally torturous: The 10th hole at Riviera. Geoff Shackelford got it right after Thursday’s round. No 310-yard hole should have a 4.21 stroke average. Ever. And no tour pro should be humiliated by hitting out of four greenside bunkers on the same hole. And ICYMI: Video of Ryan Moore very nearly acing No. 10, but instead missing the green. More than mildly ridiculous: What’s most galling is when the tournament committee and greens staff claim to be victims of circumstance. The drought! The drought! There’s really nothing we could have done differently! Really? Infographic: Riviera No. 10 and the myth of the virtue of laying up. "[Golf researcher Mark Broadie] also pokes a hole in another piece of conventional golf wisdom. Many good golfers have a distance from the green where they feel most comfortable hitting approach shots—perhaps they like to hit a 9-iron from 120 yards. So, on a par 5, if they can't reach the green in two, they will often hit their second shot into that comfort zone, the strategy being that it's better to groove a 9-iron than to sweat over a 40-yard wedge. Broadie has found that the "comfort zone" feeling doesn't hold up. Everybody gets better—they hit it closer—when they are closer to the green." Are you a risk-taker? : Take this questionnaire and get yourself rated. Mildly ironic academic study: If you really want to go down the rabbit hole about how risk averse PGA players really are, read this summation of an academic study published in the online investment advice website AlphaArchtitect.com. Promoting: One thing Golf Digest has been doing well lately is their "undercover" articles. Though the Hungover Caddie series was a failed experiment, they just did a decent one-off with an undercover cart girl. But their Undercover Pro series is the best. The March 2015 edition reveals what really motivates Tour Players. And it’s not majors, or honor. Mission: Your biweekly guide to the totally spurious, mildly ridiculous, and terribly ironic in golf. Back: From a Winter Hiatus, eager to get on the course. It’s mildly ironic that the urge to golf is highest when the ground is white. Promoting: Philadelphia Golf Show in Oaks. Who knows how the prices are so low, but why complain? And a demo range let’s you try before you buy. Open through 5 p.m. on Sunday. Here’s a "Stage Schedule." 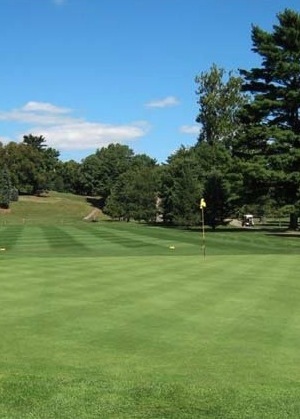 USGA diss of the week: Merion has to be "Put Back". This is Merion...not good enough for the USGA. Merion. Any changes should have been permanent or not made at all. Last Bubba reference for a while: When thinking about how Bubba Watson’s front foot often moves quite a bit during a full swing, I was reminded of Johnny Miller’s footwork during his prime. Of course, Tiger in his prime popped his left leg violently as well, which, it seems, clears the left side completely so the clubhead can travel down the line for the maximum amount of time. Infographic: How Rory gets is power and distance. Not a tall man, after all. Terribly Ironic: Lance Armstrong, in a Golf Digest Interview, can’t even explain the concept of integrity when trying to make a point about integrity: "I love adhering to a code of honor that we in cycling didn't have. If I moved my ball in the rough and got caught, I wouldn't just regret it, I'd be heartbroken forever." It’s only bad if you get caught, you see. Mildly spurious conundrum: If a Feherty interview can make me like Donald Trump for an hour, should I be suspicious about the real life behavior and demeanor of all the guests he makes look good? ICYMI: A baby bear dancing with a golf flag on a green. The eleventh coming of Tiger: Yes, he’s back. Yes, the swing looks good. But he will never be free of health issues while he plays. In this Vine Video, watch how he’s still popping that left leg. His left foot slides and turns its position on the ground. Tiger’s first coming: Tiger was not impressed with his performance at the 1997 Masters, as reported in Golf Digest later that year, and recalled in this Tweet from Golf Digest’s Stephen Hennessey. Tiger said he "got away with murder" and saw "10 flaws in his swing" after watching the entire televised tournament on tape. Dan Jenkins doubling down: Jenkins breaks his Twitter silence Thursday with a passing jab at Tiger’s first round performance at his invitational tournament, then swings and shanks another "fake" article about the Ryder Cup Task Force proceedings. Dan, sometimes picking out a target aloft in the sky cures the shanks. USGA misstep of the month: Geoff Shackelford reported that the USGA has ruled out a convenient train stop at Chambers Bay during this year’s U.S. Open. Once again, ticket-buying patrons will have to endure an interminable shuttle bus ride, this time 17 miles. 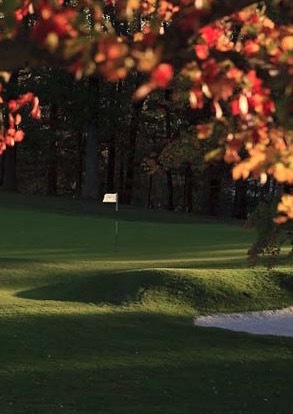 Private Hole of the Week: Radley Run’s finishing hole is one of the best in the Philadelphia region. But hard, every step of the way. To have a legitimate shot at par on this long par four dogleg left, you have to carry 250 yards to a fairway that slopes away from where you want to go. The second shot, even with a mid-iron, is no bargain either, uphill to a shelf green. And there’s plenty of fun to be had on the green to avoid a three-putt. 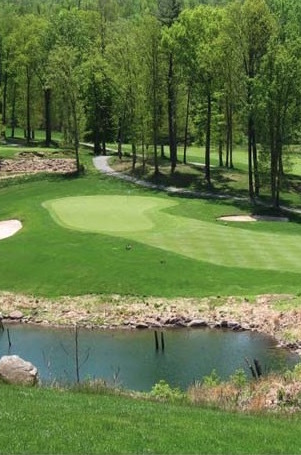 Public Hole of the Week: The second hole at Pilgrim’s Oak, in southern Lancaster County, also plays long with a frustrating driving area. If you get up to the crest of the ridge, you’ll have a mid-iron approach to a raised green that looks like it has no depth. Aim for the middle and take your par, and feel lucky for that. Non-golf pointer of the week: I caught an episode of "In Depth with Graham Bensinger" recently that was actually compelling. It’s hard to believe it’s really "In Depth" if it’s only 20 minutes of program, especially when he splits the time between two guests. But in this episode with doping cyclists Floyd Landis and Tyler Hamilton, they reveal how astoundingly different superstardom is. Landis explains how Lance Armstrong was virtually untouchable, flouting airport security rules with abandon. Landis admits: "The rules, as much as [Lance] didn’t believe they applied to him, really most of the time didn’t apply to him." Dan Jenkins shanks one into the Woods: After a satirical fake interview with an imaginary Tiger appeared in Golf Digest, long-respected golf writer Dan Jenkins needs a mulligan in the worst way. If you missed the original article, I’ll save you time: Don’t bother. There’s just no getting around the fact that the fake interview is falls flat as satire, regardless of whether you think it is funny or not—or whether it rings true or not. Satire is tricky business, I concede, but it seldom works as mere character assassination. More enjoyable reading, for the unnecessarily flamboyant prose, are Tiger’s written angry response, and the letter from his agent to Golf Digest. Ever defiant, Jenkins Tweeted on Nov. 18: "My next column for Tiger: defining parody and satire. I thought I let him off easy." Study those definitions carefully, Dan, because you’re still missing the point. If your goal was merely to insult a person, as your tweet confirms, then you succeeded. Next time, have a loftier goal. Confucius says: Try to hit mulligan ball first. In Case You Missed It: Rory duffed one the other day. In his defense, it looked like a slightly awkward stance and a wet lie. But Rory’s been digging his swing out of the dirt, judging by his calluses. Which reminds me: The worst shot I ever saw on TV has to be a fairway wood shot by the notoriously gifted short game wizard Brad Faxon. From my memory, it was a three-wood shot off an uphill lie, and Faxon stone cold topped it, the first bounce a mere 30 yards ahead of the strike. No need to dwell on that, except that Faxon also fits into this week’s theme of self-righteous personalities. Random observation: Who is left to carry the rebel torch of shoulder-length hair now that both Rickie Fowler and Charley Hoffman have gone "under the scissors"? And where’s that truth-to-power-spokesman Frank Lickliter when you need him? And how does a guy like Lickliter go 62-62 in the pressure-packed first two rounds of Q-School one year and fail to keep his card the next? A fickle game indeed. Non-Golf Item Pointer: If you missed the Lenny Dykstra interview by 97.5’s Mike Missanelli earlier this year, do yourself a favor and click it. Lenny is quite open about his life and mistakes, but the most interesting parts are when explains how he approached the game with every possible angle scrutinized for exploitation. One of my favorite parts is when he explains how he made pitchers work for every out and extend the pitch count. As a leadoff hitter, this gives valuable information to your teammates right off the bat, so to speak, and, after all, Dykstra explains, "The first two strikes are yours." Private Hole: Hole No. 11 at Philadelphia Country Club is a medium-length par-three of about 170 yards with a green that sits like an ornamental shelf in the hill behind it. The green is relatively flat, but relatively shallow, so positioning yourself below the hole is critical for a birdie chance. Trepidation on the tee comes mostly from judging the distance and picking the correct stick to land comfortably pin-high. 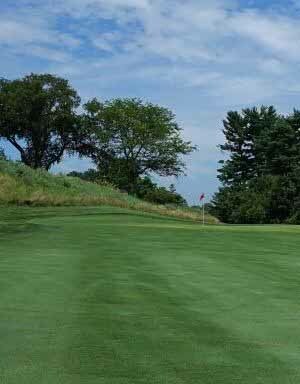 Public Hole: Another hole that plays much harder than the first perception from the tee is the par-three 4th hole at Cobbs Creek. The short, flat hole is fraught with peril, both physical and psychological. There’s something about the visual impression that makes committing to a shot feel too much like a guessing game. Prediction Update I: No sooner did I remark that Bubba Watson is the most exciting golfer on Tour than he won the World Golf Championship in Shanghai in the most exciting fashion possible. Bubba holed a long, miracle eagle bunker shot to get into a playoff, then birdied the same hole a few minutes later to close it out. Prediction update II: Michelle Wie is bringing it home. I predicted a breakout year for Wie back in February. With a U.S. Open win and a Rolex Annika Major Award under her white belt (or white sans-a-belt slacks), she’s in a virtual tie for the lead with Stacy Lewis for the women’s version of the FedEx Cup heading into the weekend of the LPGA Tour Championship. For golf history buffs: The USGA Museum now has the "Hy Peskin Collection", where you can purchase Hogan’s one-iron follow-through at Merion for as little as $245. Other graceful follow-through pictures include Sam Snead, Barbara Womack, Mickey Wright, and, ahem, Arnold Palmer. Come to think of it... Did Arnie ever hold a follow-through? What’s missing: Not all the golf pictures made the jump from the Hy Peskin website, and the only one left there is Hogan’s one-iron thumbnail, which links back to the USGA Museum site. One I wish they would put back up for sale is a picture taken about 10 minutes before the one-iron shot, as Hogan and Cary Middlecoff were strolling through the valley in front of the 17th green. Middlecoff is wiping sweat off his brow, visibly shaken on his way to a 79. Hogan’s demeanor is as steely and resolute as ever. Also missing from Hy Peskin’s site are tasteful glamour portraits of young ladies with no tops that were there last year. I guess that was all part of the USGA negotiations. The USGA Museum collection does, however, include two versions of "Sam Snead with Car." I believe it’s that stylish 1950 Nash Rambler, in case you were curious. TIL (Today I Learned): Cary Middlecoff won more pro tournaments than anyone else in the 1950s. Also, his legs were of unequal length. Going Deep: And because the 1950 U.S. Open was so epic, I point you toward a picture of the awards table that year, after the full-round playoff between Hogan, Lloyd Mangrum, and George Fazio. Lloyd Mangrum looks as dapper and as devil-may-care as ever, but his squint might belie his disappointment. What was bugging him was probably the bug he shooed away by picking up his ball on the 16th green, which earned him a two-stroke penalty when, at the time, he was only one stroke behind Hogan. Because I can’t help myself: My Bubba Love continues despite his inexplicable and completely indefensible decision to pass on the long drive exhibition during the practice round of the PGA Championship. He’s still one of a shrinking number of players that is truly fun to watch. In the second round of the HSBC World Golf Championship overnight Thursday, Bubba hit a big, high cut out of the rough with fairway metal 250 yards to a green guarded by a creek in front, for an easy two-putt birdie. Who else can pull that off? Then, later, he chipped in twice in a row, once with a flopped sand wedge and once with a bumped fairway metal. And he nearly chipped in a third time in a row on 18 for an eagle. Bubba finished with five consecutive birdies for a 67. Word of the day: Polychromatic; adjective. Having multiple colors. Used in a sentence: Piet Mondrian paintings sure are polychromatic. In medias rant: "...and if you’re going to wear Mondrian shorts on the golf course, pick the right color ball, for chrissakes. If you can’t find one to match, please just use basic white. It’s not as difficult as matching a white shade at the paint store, you know. All white golf balls are pretty much the same white..."
Prediction: David Duval will have a resurgence in 2015. I’m not sure why his 68 on Thursday in Jackson, Mississippi, gives me reason to believe, but he deserves some irrational hype—and hope—now and then. Prediction II: Adam Scott will use his broomstick putter up to the last possible day, hour, minute, or second that he is allowed to use it. Or until they pry it from his cold, dead hands. Media topic you really don’t need to think about: The precise punishment that Ted Bishop deserves, after his Twitter catfight with Ian James Poulter. It was very unfortunate, he was justly fired, but now it’s time to move on already. Speaking of attention seekers: Donald Trump claims "TGCFKAPH" (The Golf Course Formerly Known as Pine Hill) rivals Pine Valley. He’s a comedian now; or maybe was all along. TGCFKAPF is a truly fabulous golf course, both challenging and fun—but c’mon. If that comment didn’t fuel your disgust for The Donald, you might want to check out the You’ve Been Trumped documentary, which details how he built his Scotland course with scant regard for local people, political offices, or ecosystems. The one redeeming thing about the movies is that it reminds one to re-watch Local Hero, a 1983 warm-hearted allegory of individuals protecting their community from invasive investors, also set in Scotland. And while we’re talking movies: I feel guilty for not warning you about Seven Days in Utopia, which was showing in October on Golf Channel. The movie is an attempt at a warm-hearted golf parable starring Lucas Black and Robert Duvall. Lucas Black does a fine job as a golf pro, in a Mike Weir vein, but the proselytizing is heavy-handed. No matter how hard I try, I still can’t figure out why Robert Duvall signed up for this travesty. In Medias Rant: "...and why is Matt Kuchar playing two of the first three events of the PGA Tour 2014-2015 season? Geez, Matt, you’re No. 9 in the world, give some Web.com guys a chance to make a living. If you need a little cash, it’s a good time to refinance your home and..."
Observation of the week: When you watch the "minor" tours, whether Euro, Web, or Asia, one can’t help but notice that the players are more fidgety in their behavior and less polished in their movement. Is it just because they’ve been playing longer at that level, or does conservation of motion and effort go hand-in-hand with golf success? A puzzler. Word of the day: sangfroid (sang-fwah), noun; composure in the heat of competition. Idle random thought: Isn’t everyone jealous of a guy named Jhonny Vegas. He has a pretty straightforward life philosophy, too: "...Always try your best, and be a happy guy." Private Hole of the Week: Good straightaway, or "Freeway," par-four holes are often dismissed out of hand as boring, but they present unique challenges. For one, the drive is often awkward as there is less of a target and less of a suggested approach. The opening hole at Manufacturers Golf and CC is a great example of such an experience. The severely elevated tee with a prevailing crosswind adds substantially to the challenge of picking the shot to match the task at hand. 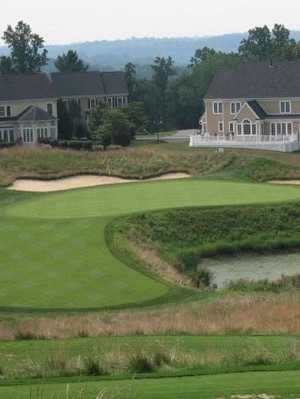 Public Hole of the Week: Another freeway hole with an elevated tee is the 7th at Reading Country Club. The best angel into the back-to-front sloped green is from the left side of the fairway, but a draw off the right edge of the fairway is the safe play. The tendency, however, is to not aim enough right, and end up in the left rough. Just shh, Gary Player: Gary can fix Tiger in one hour.